Cuban slugger Alfredo Despaigne returned to the Chiba Lotte Marines lineup Sunday afternoon after a few days of convalescing from the discomfort in his left side that had kept him out since Aug. 22. Despaigne certainly looked no worse for wear. He put on a home run derby-esque show during batting practice and later broke a scoreless tie with a shot to the back screen at Tokyo Dome in the seventh inning of a 2-1 win over the Hokkaido Nippon Ham Fighters. 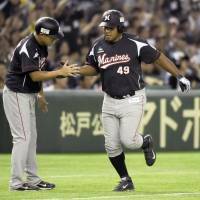 Despaigne now has six home runs and 16 RBIs in 21 games for the Marines, who are no doubt glad to have him back. Yuliesky Gourriel, another midseason Cuban import, homered for the Yokohama BayStars on Aug. 26, his first game in nearly a month after being sidelined with an injury to his side. Their countryman, Frederich Cepeda of the Yomiuri Giants, is currently out with a injured elbow. Three dinged-up players is hardly an epidemic, no one survives the grind of the season completely unscathed, but three of the four Cuban stars to join NPB teams during the season have come up injured within 30 games of their debuts. The fourth, Giants pitcher Hector Mendoza, hasn’t pitched for Yomiuri as of yet. The sudden influx of Cuban talent into Japan isn’t likely to subside next season. 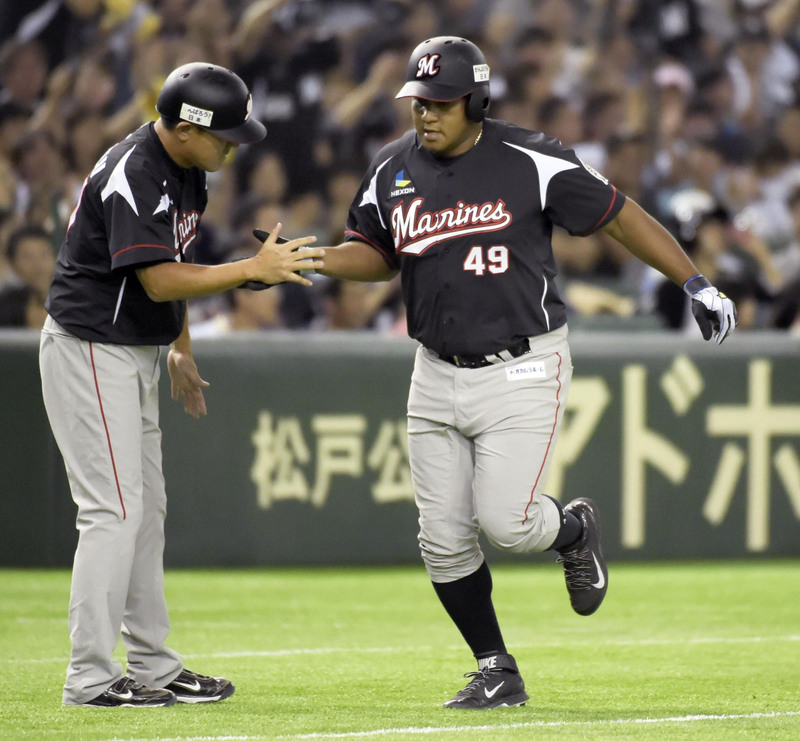 Because of the way Despaigne has contributed for Lotte, and the runaway success Gourriel has enjoyed in Yokohama, hitting .359 with eight home runs and 20 RBIs in 32 games, more teams may be scouring the island nation for players. The lesson they can take from this season is that care has to be taken in integrating this new wave into Japanese baseball. Most foreign players who arrive after the start of the season have been playing in U.S. leagues which operate on a similar calender to NPB. They leave those teams in the middle of the season to come to Japan. Cuba’s domestic league, the National Series, consists of 90 or so games from November to April. The aforementioned players played in Cuba and were on the field in Japan less than three months later — Despaigne had a stint in the Mexican League along the way. That’s a lot to ask. More games means more practice, more travel and more mental and physical strain. Japanese teams also have famously robust practices and play most of their games on artificial turf. So a few bumps and bruises probably isn’t very surprising. Such a schedule can be more demanding than what’s asked of some other foreign players, though not all. The Seibu Lions’ Ernesto Mejia, for instance, played winter ball and only had about a two- to three-week break before cranking it back up. Mejia was used to grueling schedules from his time in the U.S., though, and had already been playing, not starting up and going full bore right after a season. It’s not the biggest of differences by any means, but little things add up both physically and mentally. Three players isn’t an epidemic, but the “discomfort” running through the trio of players who came directly from Cuba should be enough to make NPB teams at least consider ways to help these players make the transition. To that end, getting Cuban players to Japan for the spring could help. Except the Cuban season won’t end until after the start of the NPB season. In that case, teams have to allow players to fully recover before running them out, in the hope of making them less susceptible to small nagging injuries that can add up over a few weeks. Cepeda, Gourriel and Despagine weren’t seriously hurt, but their minor scrapes could spur teams into new ways to help lessen injuries in future star acquisitions.